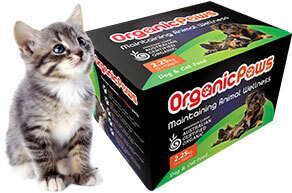 Organic Paws is a leading national wholesaler to the animal health and organic industry. Our customers include pet stores, health food stores, veterinarians, cat and dog groomers, breeders and more. Organic Paws offers a variety of freshly frozen raw meat meals for cats, dogs or other carnivorous animals that require a raw meat diet. 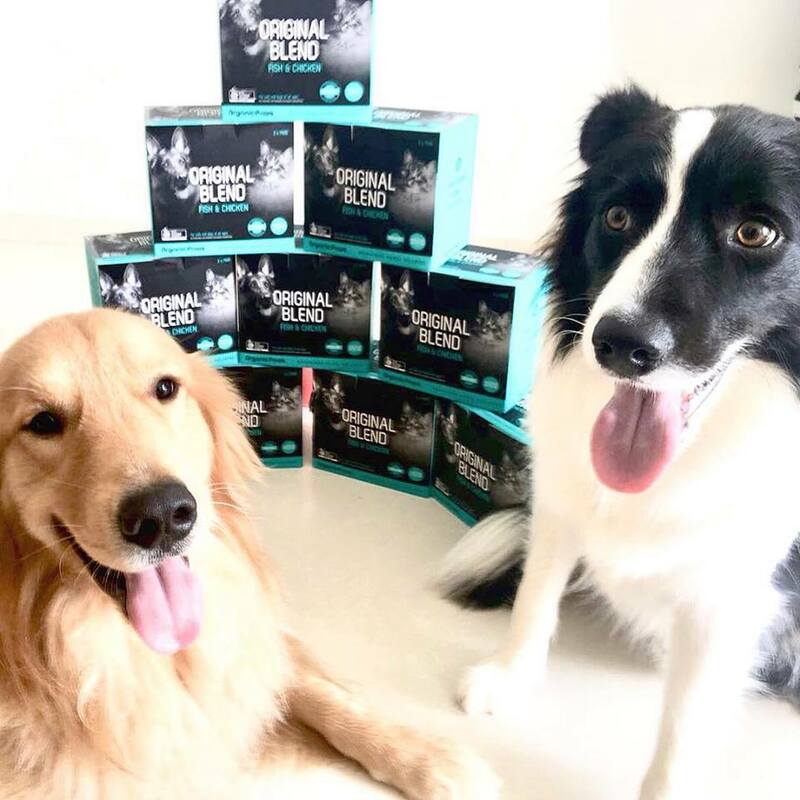 Our recipes are made with a variety of fresh ‘Australian Certified Organic’ meats, organs and ground bone complemented with cod liver oil and kelp to promote better health, more energy and general well being for all stages of your companion animal’s life. Manufactured on the Gold Coast, Queensland, we supply all businesses Australia wide. It’s been a whirlwind of almost a year and half before we finally decided that raw was the way to go with both Rocky and Fernet. We’ve been doing lots of reading, gathering opinions since Fernet started to skip his meals. We definitely did have our reservations with starting them both on a raw diet. Thoughts of cross contamination, worms, bacteria, would their tummies be okay, how safe would it be, would it be cost effective, would it actually make a difference were all concerns. The boys have both been transitioned to a full raw diet for almost 2 weeks now and We couldn’t be happier. Thank you to all who have helped us with this decision to switch and for all the encouragement and reassurance. Poop size was largely reduced and I must say preparing a raw meal is much easier than what we were doing before. You thaw the pack in the refrigerator the night before and then the next day, portion and feed! Both Rocky and Fernet both look forward to their meals and Fernet doesn’t leave a single morsel behind. he reaction from the boys to their meals speaks volumes and we cannot wait to see their progression as they continue on raw. 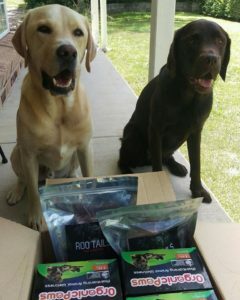 Organic Paws is our choice of raw for the boys! Australian Certified Organic with heaps load of good stuff free from the nasties. The meat quality is excellent, reflecting the right hue of red and it does not smell. Like it’s always said, the proof is in the pudding !. 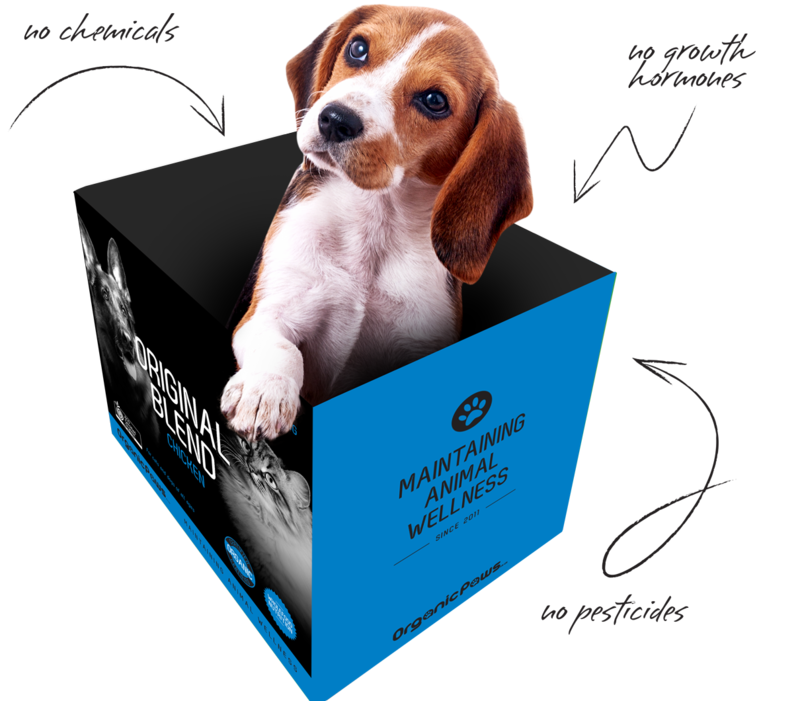 A raw diet is definitely an investment we’ve made for our boys, benefits in the long run outweighs the cost and why wouldn’t you want the best for your beloved companions. I would just like to commend you on your fantastic and healthy dog food. I decided to switch my dogs to raw food after a few health issues so I endeavoured to source organic meat and offal but it was quite difficult. When I did source some organic offal, I found preparing it all made my stomach turn a bit plus trying to source organic green tripe was impossible which was disappointing as I know how great it is for dogs. 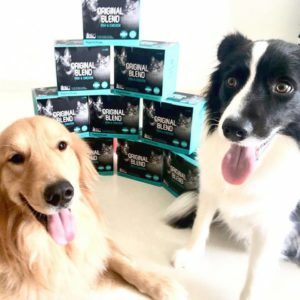 So, I was absolutely delighted when I found Organic Paws, my dogs love your food and I love the fact that it is organic and that it is all prepared for me. I love that the food is full of natural vitamins and minerals and it looks and smells lovely and fresh and much more appetising than a pile of dried up kibble. I combine Organic Paws with a raw meaty bone every day and my Jack Russells Muzz and Biskit are jumping out of their skin, they have so much energy they just keep going and going. It has even cured IBD/Colitis in one of my Jacks, he no longer has any problems and is always excited about his next meal. I hope you continue to make this fantastic healthy food, this is the type of food vets should be endorsing not food that comes out of a bag or tin !! I just wanted to let you know that we tried your products and they are wonderful. After 13 years of feeding our dogs organic meats and livers mixed with fish oil and probotics it is so nice to not have to make it each week as it takes so much time and actually costs more than your product. Thank you so much for providing such a wonderful product for my animals and saving me valuable time and money. Teddy Happy at Last ! I have a Standard Poodle who would be the most fussy dog in existence! Since day 1 he has turned his nose up at whatever I feed him, and during the evening will walk by, have a nibble and continue on. If I feed him Gravy Beef or normal raw meat he has chronic diarrhoea and he doesn’t like bones…….so I have been at a loss of what to give him, as I have cooked meat, vegetables and rice, given him chicken necks. I started giving him a container of your food each night…..and immediately he eats it ALL at once and no nasty results later! I have purchased several of the different flavours, and going through them slowly but fingers crossed it works as well with all the choices! Our Poodle (Teddy) is still going strong on your product, I am so pleased at last Thank you. I wish to thank you for developing a ‘winning’ recipe for my fussy pooches. For the last six months, both my girls ‘ask’ me for their dinner every night, ‘vacuum’ it up within seconds and then beg for more! They are much happier and settled now that we’ve been on the Organic Paws healthy eating plan. Both have gained weight but in a good way and are bright, happy and active dogs. Previously, they practically starved themselves turning their noses up at the dry food every night and consequently suffered from stomach upsets with lack of food. I had tried everything to tempt them to eat, probably giving them the wrong food in my efforts to feed them. It was a constant concern for me being a responsible and loving pet owner. We are all much happier now, for me not worrying about what the girls are eating and how much, and for them, looking forward to their dinner every night and feeling much better within themselves. 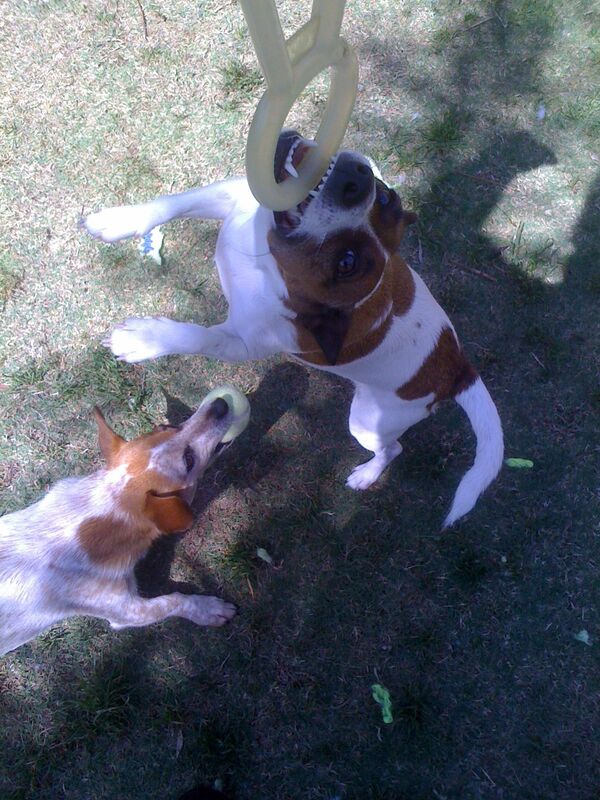 It shows every day with their boundless energy and wagging tails. Thank you, thank you, thank you from my little family to yours !! I have been very impressed with Organic Paws, they both love it to. So nice to find a pre-made raw pet food that is organic and not loaded with veges that they are allergic to. Sammy is a very fussy 12 year old that we have always had to poke a couple of homemade treats in his dinner to get him to eat it. Now he eats around the treats to get to his chicken Organic Paws – it’s hilarious! Not only does he now love meal time but his poos have changed for the better! They are well formed, easy to pick up and hardly smell. That has got to be a good sign as I previously had to scrape up the black sticky mess in the poop bag that smelt so bad. I’m sold! 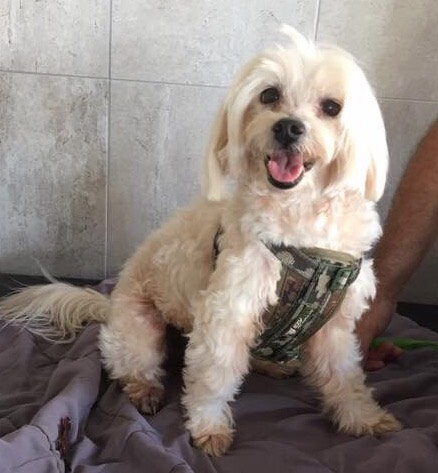 Sammy is energetic and happy, he must have been missing something in his diet before that he is now getting. My name is Emma and I really wanted to give you some feedback about your product. I have four cats and two puppies that I have had endless issues with trying to get to eat raw food. (We were motivated to go raw by our eldest cat’s colitis issues… that were sooo super awful for her). Either the product that we once purchased changed hands (being bought out by a large commercial company that started to use cheaper cuts of meat from animals that we def would not choose to feed our animals like pork… in a turkey patty) and our animals stopped eating the product due to the changes (Dr B’s BARF) or our puppies would vomit up the food and seem to have a negative response to the mixture of ingredients (BIG DOG). Sooo when we came across your product that was made for cats and dogs we crossed our fingers and hoped for the best, and to our complete amazement (we have spent countless $ and time trying to resolve this issue) all of our gorgeous hairy family members loved it and kept it down. We have tried the chicken and fish and also the turkey power blend. I can tell the high quality of your product as our pup’s stools are no longer stinky like they were. THANKS SO MUCH FOR BEING AWESOME ENOUGH TO PLACE VALUE ON THE HEALTH AND WELL BEING OF ANIMALS!! It’s so important and really appreciated. I always think you do work at one end of life or the other and doing the best you can at the beginning makes it easier tenfold later on in your animal family members life, but this can be made really difficult as soooo many companies put $ before the care of your animal and will blatantly deny (or skirt around admitting) their genuine interest in your animals welfare by providing less than appropriate quality of ingredients in their products and charge you the earth for them. Super ramble over, really just wanted to let you know what your doing is fabulous! Keep up the awesome work, it’s really, really appreciated. My life is simpler and more fabulous thanks to you!!! I just wanted to say a big thank you for being at the Dog Lovers Show recently because I bought two packets of Organic Paws from you at the Show and my dog (Scarlette the Doberman) who is such a fussy eater absolutely LOVED your food ! It makes me happy that she is eating such great Aussie produce ! HE CAN HEAR AGAIN – CHRONIC RASH GONE! Since November of last year, we have been feeding our dogs ‘Organic Paws’. It has been a long transition which started about 6 years ago when our beautiful girl, a Staffy cross, was diagnosed with cancer. In my search for a cure I discovered that popular conventional pet foods were a contributing factor. 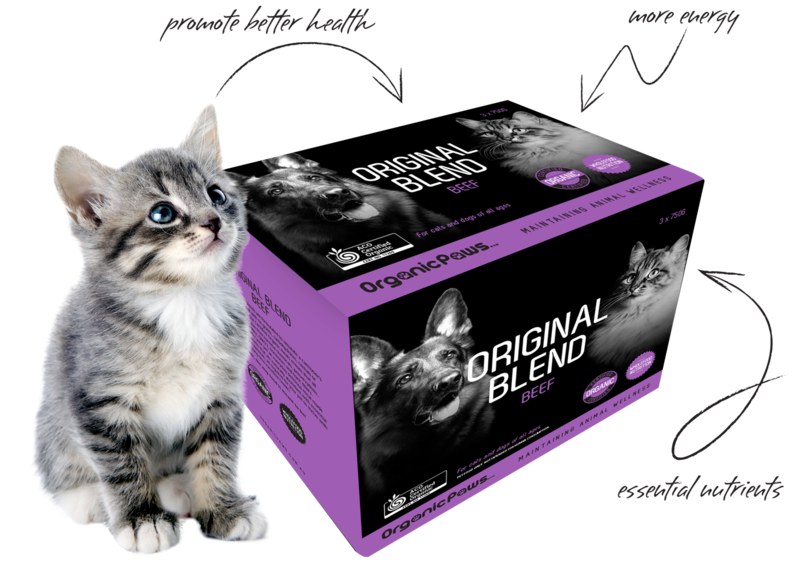 My search for a food that would assist in providing optimal health for our remaining ‘paw children’ finally led me to the website of ‘Organic Paws’. Just days before ordering my first lot of Organic Paws, I had convinced my son to hold off getting more medicine for his dog who was now deaf with chronic skin and ear inflammation. I explained that he was probably suffering from toxic overload and suggested; “let’s try this ‘clean’ food first”. I don’t recall how long after we started him on the new food that we first noticed that he was once again able to hear, if my memory serves me well it was only a couple of weeks. You know, I am very much a believer in eating for optimal health and therefore the results should not be such a surprise for me, right? Truth is I was gob-smacked! I was nothing short of unbelievably amazed! 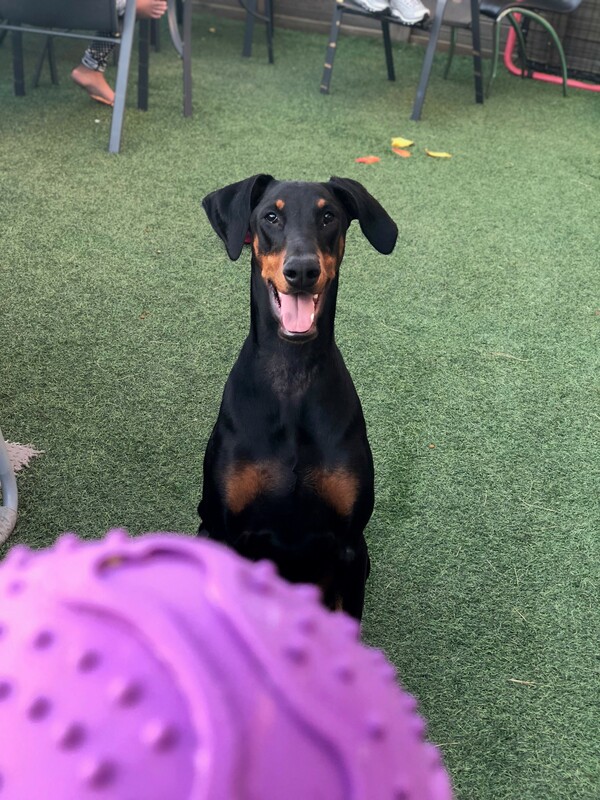 He is now a much happier dog with clear skin and clean healthy ears that serve him well – after many years of suffering and frequent ingesting of toxic medicines he recovered in a matter of weeks simply by a change in diet !! Aaaah – but that’s not where the story ends. About a month ago we started ‘dog-sitting’ my daughter’s Amstaff. Naturally she got to enjoy the same diet as the rest of the clan. Although only three years of age she was suffering badly from a lumpy itchy skin, was losing fur and generally looking pretty poorly – I kid you not, in less than a week she was looking so much healthier with the lumps and bumps pretty much confined to the leg areas and now? … Totally clean with a shiny healthy coat. I am totally blown away by the achieved results. I can honestly say that frequently when I look at our little fur family, I realize how fortunate we are to have come across ‘Organic Paws’.